As Lot said of Zoar, “It is but a little one, and my soul shall live” (Gen. 19:20). Alas! says Satan, it is but a very little sin that you stick so at. You may commit it without any danger to your soul. It is but a little one; you may commit it, and yet your soul shall live. Remedy (1). First; Solemnly consider, that those sins which we are apt to account small, have brought upon men the greatest wrath of God, as the eating of an apple, gathering a few sticks on the Sabbath day, and touching of the ark. Oh! the dreadful wrath that these sins brought down upon the heads and hearts of men! The least sin is contrary to the law of God, the nature of God, the being of God, and the glory of God; and therefore it is often punished severely by God; and do not we see daily the vengeance of the Almighty falling upon the bodies, names, states, families, and souls of men—for those sins that are but little ones in their eyes? Surely if we are not utterly forsaken by God, and blinded by Satan—we cannot but see it! Oh! therefore, when Satan says it is but a little one—you must say, Oh, but those sins which you call little, are such as will cause God to rain hell out of heaven upon sinners as he did upon the Sodomites! Remedy (2). Seriously to consider, That the giving way to a less sin makes way for the committing of a greater sin. He who, to avoid a greater sin, will yield to a lesser, ten thousand to one but God in justice will leave that soul to fall into a greater. If we commit one sin to avoid another, it is just we should avoid neither, we having not law nor power in our own hands to keep off sin as we please; and we, by yielding to the lesser, do tempt the tempter to tempt us to the greater. Sin is of an encroaching nature; it creeps on the soul by degrees, step by step, until it has the soul to the very height of sin. David gives way to his wandering eye, and this led him to those foul sins that caused God to break his bones, and to turn his day into night, and to leave his soul in great darkness. Jacob and Peter, and other saints, have found this true by woeful experience, that the yielding to a lesser sin has been the ushering in of a greater. The little thief will open the door, and make way for the greater; and the little wedge knocked in, will make way for the greater. Satan will first draw you to sit with the drunkard, and then to sip with the drunkard, and then at last to be drunk with the drunkard. He will first draw you to be unclean in your thoughts, and then to be unclean in your looks, and then to be unclean in your words, and at last to be unclean in your practices. He will first draw you to look upon the golden wedge, and then to desire the golden wedge, and then to handle the golden wedge, and then at last by wicked ways to take the golden wedge, though you run the hazard of losing God and your soul forever; as you may see in Gehazi, Achan, and Judas, and many in these our days. Sin is never at a stand-still (Psalm 1:1), first ungodly, then sinners, then scorners. Here they go on from sin to sin, until they come to the top of sin, that is, to sit in the seat of scorners. By all this we see, that the yielding to lesser sins, draws the soul to the committing of greater. Ah! how many in these days have fallen, first to have low thoughts of Scripture and ordinances, and then to slight Scripture and ordinances, and then to make a nose of wax of Scripture and ordinances, and then to cast off Scripture and ordinances, and then at last to advance and lift up themselves, and their Christ-dishonoring and soul-damning opinions, above Scripture and ordinances. Sin gains upon man’s soul by insensible degrees. “The beginning of the words of his mouth is foolishness, and the end of his talking is mischievous madness.” (Eccles. 10:13) Corruption in the heart, when it breaks forth, is like a breach in the sea, which begins in a narrow passage, until it eats through, and cast down all before it. The debates of the soul are quick, and soon ended; and that may be done in a moment that may undo a man forever. When a man has begun to sin, he knows not where, or when, or how he shall make a stop of sin. Usually the soul goes on from evil to evil, from folly to folly, until it is ripe for eternal misery! Remedy (3). The third remedy against this third device that Satan has to draw the soul to sin, is solemnly to consider, that it is sad to sin against God for a trifle. The Rich Man would not give a crumb; therefore, he should not receive a drop (Luke 16:21). It is the greatest folly in the world—to adventure the going to hell for a small matter. “I tasted but a little honey,” said Jonathan, “and I must die” (1 Sam. 14:29). It is a most unkind and unfaithful thing to break with God, for a little. Little sins carry with them but little temptations to sin, and then a man shows most viciousness and unkindness, when he sins on a little temptation. It is devilish to sin without a temptation; it is little less than devilish to sin on a little occasion. The less the temptation is to sin—the greater is that sin. Saul’s sin in not waiting for Samuel, was not so much in the matter—but it was much in the malice of it; for though Samuel had not come at all, yet Saul should not have offered sacrifice; but this cost him dear—his soul and kingdom. It is the greatest unkindness that can be showed to a friend, to project the complaining, bleeding, and grieving of his soul—upon a light and a slight occasion. So it is the greatest unkindness that can be showed to God, Christ, and the Spirit, for a soul to put God upon complaining, Christ upon bleeding, and the Spirit upon grieving—by yielding to little sins. Therefore, when Satan says it is but a little one, you must answer—that oftentimes there is the greatest unkindness showed to God’s glorious majesty, in the acting of the least folly, and therefore you will not displease your best and greatest friend—by yielding to his greatest enemy. Remedy (4). The fourth remedy against this device of Satan, is seriously to consider, That there is great danger, yes, many times most danger—in the smallest sins. “A little leaven leavens the whole lump” (1 Cor. 5:6). If the serpent sneaks in his head, he will draw in his whole body after him. Greater sins do sooner startle the soul, and awaken and rouse up the soul to repentance, than lesser sins do. Little sins often slide into the soul, and breed, and work secretly and indiscernibly in the soul, until they come to be so strong, as to trample upon the soul, and to cut the throat of the soul. There is oftentimes greatest danger to our bodies in the least diseases that hang upon us, because we are apt to make light of them, and to neglect the timely use of means for removing of them, until they are grown so strong that they prove mortal to us. So there is most danger often in the least sins. We are apt to take no notice of them, and to neglect those heavenly helps whereby they should be weakened and destroyed, until they are grown to that strength, that we are ready to cry out, the medicine is too weak for the disease! 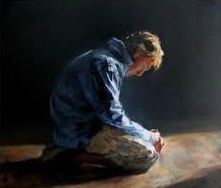 I would pray, and I would hear—but I am afraid that sin is grown up by degrees to such a head, that I shall never be able to prevail over it; but as I have begun to fall, so I shall utterly fall before it, and at last perish in it, unless the power and free grace of Christ acts gloriously, beyond my present apprehension and expectation. The viper is killed by the little young ones that are nourished and cherished in her belly—so are many men eternally killed and betrayed by the little sins, as they call them, that are nourished in their own bosoms. I know not, says one, whether the nurture of the least sin be not worse than the commission of the greatest—for this may be of frailty, that argues obstinacy. A little hole in the ship sinks it. A small breach in a dyke carries away all before it. A little stab at the heart kills a man. A little sin, without a great deal of mercy, will damn a man! Remedy (5). The fifth remedy against this device of Satan, is solemnly to consider, that other saints have chosen to suffer the worst of torments, rather than commit the least sin, that is, what the world accounts little sins. So as you may see in Daniel and his companions, that would rather choose to burn, and be cast to the lions—than they would bow to the idol which Nebuchadnezzar had set up. When this ‘slight offense’, in the world’s account, and a hot fiery furnace stood in competition, that they must either fall into sin, or be cast into the fiery furnace—such was their tenderness of the honor and glory of God, and their hatred and indignation against sin, that they would rather burn than sin! They knew that it was far better to burn for their not sinning, than that God and conscience should raise a hell, a fire in their bosoms for sin. I have read of that noble servant of God, Marcus Arethusius, minister of a church in the time of Constantine, who had been the cause of overthrowing an idol’s temple; afterwards, when Julian came to be emperor, he would force the people of that place to build it up again. They were ready to do it—but Marcus refused; whereupon those who were his own people, to whom he preached, took him, and stripped him of all his clothes, and abused his naked body, and gave it up to the children, to lance it with their pen-knives, and then caused him to be put in a basket, and drenched his naked body with honey, and set him in the sun, to be stung with wasps. And all this cruelty they showed, because he would not do anything towards the building up of this idol temple! No, they came to this, that if he would do but the least towards it, if he would give but a half-penny to it, they would save him. But he refused all, though the giving of a half-penny might have saved his life; and in doing this, he did but live up to that principle that most Christians talk of, and all profess—but few come up to, that is—that we must choose rather to suffer the worst of torments that men and devils can invent and inflict, than to commit the least sin whereby God should be dishonored, our consciences wounded, religion reproached, and our own souls endangered. Remedy (6). The sixth remedy against this device of Satan is, seriously to consider, That the soul is never able to stand under the guilt and weight of the least sin, when God shall set it home upon the soul. The least sin will press and sink the stoutest sinner as low as hell, when God shall open the eyes of a sinner, and make him see the horrid filthiness and abominable vileness that is in sin! What so little, base, and vile creatures—as lice or gnats—and yet by these little poor creatures, God so plagued stout-hearted Pharaoh, and all Egypt, that, fainting under it, they were forced to cry out, “This is the finger of God!” (Exod. 8:16; 10. 19). When little creatures, yes, the least creatures, shall be armed with a power from God, they shall press and sink down the greatest, proudest, and stoutest tyrants who breathe! So when God shall cast a sword into the hand of a little sin, and arm it against the soul, the soul will faint and fall under it. Some, who have but contemplated adultery, without any actual acting it; and others, having found a trifle, and made no conscience to restore it, knowing, by the light of natural conscience, that they did not do as they would be done by; and others, that have had some unworthy thought of God, have been so frightened, amazed, and terrified for those sins, which are small in men’s account, that they have wished they had never been born; that they could take no delight in any earthly comfort, that they have been put to their wits’ end, ready to make away themselves, wishing themselves annihilated. William Perkins mentions a good man—but very poor, who, being ready to starve, stole a lamb, and being about to eat it with his poor children, and as his manner was afore eating, to ask God’s blessing, dare not do it—but fell into a great perplexity of conscience, and acknowledged his fault to the owner, promising payment if ever he should be able. “The wages of sin is death” (Romans 6:23); of ALL sin, whether great or small, Oh! how should this make us tremble—as much at the least spark of lust as at hell itself; considering that God the Father would not spare his bosom Son, no, not for the least sin—but would make him drink the dregs of his wrath! Not come to make it possible for them to save themselves; not come to open a way whereby, through their exertions, they may secure their own salvation. A Christ of that nature is one of the devil’s inventing. It is antichrist. It is not the Christ of God. No, no. The Christ of God is come “to put away sin,” “to finish transgression and to make an end of sin, and to bring in everlasting righteousness,” to “redeem from all iniquity,” and to “redeem unto God.” So we find, when the Holy Ghost is speaking upon the subject, he says, “Husbands, love your wives, as Christ also loved the church, and gave himself for it.” Do you not see, beloved, how it is? Has God made you to feel it? If this little word it gets into your conscience, it is a blessed thing, if God the Spirit puts it there. He gave himself for it. Not “gave himself” indefinitely “for all sin of all men,”—the doctrine of the day, to accomplish a great salvation, and make it possible for those who please to save themselves; that is antichrist; I do not care who preaches it, nor who believes it; it is not the Christ of God. No, no. God’s Christ has finished transgression, and made a complete atonement for sin; such an atonement that, as the Holy Ghost solemnly declares, “the redeemed of the Lord shall come to Zion with songs and everlasting joy upon their heads, and sorrow and sighing shall flee away.” Now the Christ that you believe in and have felt in your soul, is it a Christ of this nature? Or is it a Christ that you say gives all men a chance of being saved, has done the best he can to save them, has made it possible for them to accomplish the conditions of salvation and so to save themselves? That is antichrist; as the living God is in heaven, that is not his Christ. God’s Christ has so completed the work that all the perfections of the Eternal Jehovah harmonize in it, to the complete salvation of God’s people. Hence it is said that “Israel shall be saved in the Lord;” not have a chance of being saved. A chance of being saved? Why, bless you, when I hear men talk about a chance of being saved, I am led to reflect— Then the declarative glory of the Eternal Trinity hangs upon a chance; the honor of God the Father hangs upon chance; the honor and effect of the work of God the Son hangs upon chance; the honor of God the Spirit, in his quickening, enlightening, sanctifying power, hangs upon chance! And that chance, too, to be accomplished by man—a poor, dying, crawling reptile! —the eternal Trinity having to wait in heaven to see if perchance we will let him work! Talk of Christ! It is antichrist. It is an insulting of God’s Christ; a despising of the Christ God has revealed in his Word and makes known in the hearts and consciences of his people. If we believe that God’s Christ “is come in the flesh,” then, we believe that he has come as the Head and Representative of his people, and that he has completed their salvation and entirely finished the work. Yea, bless his holy name, we are brought to believe and feel in our souls that he has accomplished such a work that it can neither be mended nor marred. The manifestation of it may go through a variety of changes, and we through a variety of changes under it; but the work is as firm as the throne of God, and it shall stand forever. “His work is perfect; a God of truth, and without iniquity, just and right is he.” The Christ of God that has “come in the flesh” is one that has accomplished this blessed, this God-glorifying work. Any other Christ is not the Christ of God, but it is antichrist, another Jesus, one of those “false Christs” that the Lord said should arise, and should deceive many; and so, God knows, there are many who are deceived. But, then, we observe further. the Lord Christ that is “come in the flesh” is that blessed Christ that has wrought out a complete righteousness for the justification of his people; not only atoned for their sins, but wrought out a righteousness, to present them just and perfect and righteous in his blessed and pure obedience. I know, antichrist mocks at the idea of looking for imputed righteousness, or depending upon imputed righteousness. Imputed righteousness, some say, is imputed nonsense. Now, so charitable am I, that I believe that a man who lives and dies declaring the imputed righteousness of Christ to be nonsense, dies to be damned, as sure as God is in heaven. I do not care who he is, nor what he is; the spirit by which he is guided is antichrist. It is not “the Spirit of God;” for God’s Christ is Christ “our righteousness” “the end of the law for righteousness to everyone that believeth.” Of God’s Christ it is said, that “in him we have redemption through his blood, the forgiveness of sins,” and that we are “justified freely through the redemption that is in him.” And when the Lord the Spirit brings this solemn mystery into the conscience of a poor, burdened, dejected, drooping sinner, O what glory teems into his heart! To be led in faith and feeling to see that he stands before God in the spotless, pure, perfect obedience of Christ; his righteousness justifying him so fully and completely that God himself, by the apostle, challenges all creation to “lay anything to his charge,” this is Christ! What is the holiness of a child of God, then—his real personal holiness? It is couched in this one blessed thing, in all the manifested bearings of it—Christ in you. Chastisement is the effect of his paternal love: he is the father of our spirits, and that divine relation carries with it a special love to the spirits of men, and in that degree of eminence, as to secure and advance their happiness, though to the destruction of the flesh. The soul is of incomparably more worth than the body, as the bright orient pearl than the mean shell that contains it: this God most highly values; for this he gave so great a price, and on it draws his image. If temporal prosperity were for our best advantage, how willingly would God bestow it on us? ‘He that spared not his own Son, but gave him up for us all, how shall he not with him also freely give us all things?’ Rom. 8:32. Which words, among all that the Holy Ghost hath dictated to the interpreters of God’s heart to his people, are most expressive of his love and bounty, and most for their comfort. He that gives grace and glory, the most real testimonies of his love, certainly withholds no good thing from them. I shall produce one convincing instance of this. The apostle Paul, who by an incomparable privilege was rapt up to the celestial paradise, and heard ineffable things, yet was tormented by the angel of Satan, and his earnest repeated prayer for deliverance not presently granted. Did not God love that blessed apostle, whose internal love to Christ almost equaled the seraphim, those pure everlasting flames, and was expressed in the invariable tenor of his life, by such miraculous actions and sufferings for the propagating and defense of the faith of Christ, and the glory of his name? ‘If we love him because he first loved us,’ as the apostle John testifies; certainly he that returned such a superlative affection to Christ, received the greatest love from him. Now if Christ did love Paul, why did he not upon his earnest repeated prayer, deliver him from his wounding trouble, whatsoever it was? That permission was a demonstration of the love of Christ to him, as it is acknowledged by himself; ‘lest I should be exalted above measure through the abundance of revelation, there was given to me a thorn in the flesh, and the messenger of Satan to buffet me.’ 2 Cor. 13:7. That the auctions of the saints proceed from God’s love, will be evident, by considering: First. His gracious design in sending them. Secondly. His compassionate providence over them, and his assisting power afforded to his people in their troubles. Thirdly. The happy issue of them. First; His gracious design in sending them. ‘God doth not afflict willingly, but if need be; not for his own pleasure, but for our profit, that we may be partakers of his holiness. Heb. 12:10. The expression is high and emphatic, ‘his holiness,’ the brightest glory of his nature, the divinest gift of his love. The two principal parts of holiness, are ceasing from doing evil, and learning to do well. And afflictions are ordained and sent as profitable for both these effects. For the prevention or cure of sin, which is an evil incomparably worse in its nature, and terrible consequents in this and the next world, than all the mere afflicting temporal evils. Sin defiles and debases the soul, which is the proper excellency of man, and separates from God our supreme good. ‘Your sins have separated between you and your God, and have hid his face from you.’ Isa. 59. 2. All afflictions that can befall us here in our persons or concernments, the most disgraceful accidents, the most reproachful contumelious slanders, the most loathsome contagious diseases, that cause our dearest friends to withdraw from us, yet cannot deprive us of union with God by faith and love, nor of the fruition of his propitious presence. Lazarus when covered with ulcers, was kissed with the kisses of his mouth: but sin hath this pernicious effect, it separates from his gracious presence here, and, if continued in without repentance, will exclude, from his glorious presence forever. Now afflictions are medicinal applications for the cure of sin, the disease and death of the soul, and therefore infinitely worse than the sharpest remedies. The beginnings and progress of conversion to God, are by sanctified afflictions. Indeed, considering our folly, and perverse abuse of his blessings, they are the most congruous means for our recovery. The light of God’s law doth not so powerfully convince us of the evil of sin, till felt in the effects of it. ‘Thy own wickedness shall correct thee, and thy backslidings shall reprove thee; know therefore and see that it is an evil thing and a bitter, that thou hast forsaken the Lord thy God, and that my fear is not in thee, saith the Lord of hosts.’ Jer. 2. 19. The instructions of the rod are more sensible than of the word; as the feeling of a tormenting disease produces another kind of understanding of it, than the reading of its nature in books of physic; and they make us more attentive to God’s call, and leave a deeper impression on us. It is Elihu his observation, ‘if sinners be bound in fetters, and held in cords, then he shows them their works, and their transgressions, that they have exceeded.’ Job 36. 8. 9. Affliction clarifies their sight, makes sin to be as heinous in the view of conscience, as in its own foul nature. It follows, ‘he opens also the ear to discipline, and commands that they return from their iniquity.’ Ver. 10. Gentle methods were lost upon them, but by judgments he effectually commands, they relent and return to their duty. And after conversion, we need their discipline, to make us more circumspect and obedient. The Psalmist declares, ‘it is good for me that I have been afflicted:’ Ps. 119. for before he was afflicted he went astray: he was reduced from the error of his ways by his troubles: and it was his experimental observation, ‘I know in faithfulness’ (from the constancy of love) ‘thou hast afflicted me.’ Nothing so cools our zeal to eternal things, as the love of the world. Vital heat declines and languishes, as the feverish heat is inflamed; and till we feel the vexations, we are allured by the vanities of the world: Therefore, God is pleased by such bitter means to make us more holy and heavenly. Sometimes he removes with jealousy those objects to which our hearts are so entirely engaged, that the enjoyment of them intercepts the ascending of our affections to himself. Besides, he will not suffer us to perish in prosperity. ‘We are chastened of the Lord for our amendment, that we may not be condemned with the unreformed world.’ 1 Cor:11. And is not this an infallible testimony of his love? David said, ‘let the righteous smite me, and it shall be a kindness; let him reprove me, and it shall be an excellent oil.’ Ps. 141:5. If he valued the reprehensions that were not contumelious and injurious, not to upbraid but reform him, as a favor and dear obligation, how much more should we the corrections of our heavenly Father? And it will be a greater incitement to an humble and grateful acceptance of this discipline, if we consider what a severe neglect it is, when God suffers the wicked to lead a voluptuous life without disturbance: they are encircled with riches and honors, softened with pleasures, charmed with enticing objects, and thus become hardened in sin; they are riotous and luxurious, and give the reins to their corrupt unruly appetites without control; the slaves of sense, led, only by principles of pleasure, and hereby are inexcusable, and made ripe for perdition, and reserved for final vengeance. Others, though not guilty of scandalous enormities, yet are by continual prosperity settled upon their lees, careless and secure, ‘neglect the great salvation’ and say in their hearts, ‘it is good to be here;’ and their damnation is as certain, though not so visible, as of those who commit gross and open wickedness. Sad preterition! In the midst of pleasures they are truly miserable. They have just reason to be abandoned to sorrow, being forsaken of the love of God. The bramble is not cut, when the vine is pruned till it bleeds, in order to its fruitfulness: this letting them alone, to take their fill of pleasures is a heavy presage at final ruin. When the patient is desperate, the physician lays no restraint upon the diseased appetite, but permits him to take what he craves. Heb. 4. 14. Besides, the intention of God is by affliction to exercise and illustrate their graces. The most excellent Christian virtues would be comparatively of little use, without hard trials. Unfeigned faith in the truth and power of God to accomplish his promises, sincere love to him, humble self-denial, persevering patience then appear in their radiance and vigor. What a blessed advantage is it, by the loss of temporal comforts to increase in the graces of the spirit? They are the truest riches, the fullest joy, and the highest honor of a Christian. The apostle Peter declares, ‘the trial of our faith is much more precious than of gold that perishes;’ 1 Pet. 1. 7. It is refined and resplendent by the fire of affliction, and ‘will be found unto praise, and honor, and glory, at the appearing of Christ.’ It is the advice of the apostle James, ‘Count it all joy when ye fall into divers temptations. Knowing this, that the trial of your faith worketh patience.’ Jam. 1. 2, 3. Though afflictions simply considered, may be very grievous, yet if we advisedly weigh, and rightly compare things, even when our sorrowful passions are moved, our judgments will esteem them matter of joy, not only in expectation of future happiness, but as divine grace is thereby drawn forth in the most noble operations. In short, the ultimate design of God in afflicting his people, is thereby to bring them to heaven. Affliction mortifies the lusts of the flesh, purifies the spirit, ‘and makes us fit for the inheritance of the saints in light.’ By persevering patience in sufferings, they are approved of God, and obtain a right and title to the kingdom of glory. For according to the tenor of the covenant of grace, heaven shall be conferred as a reward to those that overcome. Rev. 22. If there be no enemy, there will be no fight; and if no fight, no victory; if no victory; no triumph; only those who conquer are crowned. The beloved disciple, with his brother, though allied to our Savior by blood relations, who expected by special favor to be glorified without a preparatory trial, yet he tells them, ‘without drinking of his cup, they could not have a share in his kingdom:‘ and this should reconcile our spirits ‘to all our troubles; for the apostle declares, who was a competent judge, having been thoroughly acquainted with griefs, and had a prospect into the glorious kingdom; ‘I reckon that the sufferings of this present life are not worthy to be compared to the glory that shall be revealed in us.’ Rom. 8. Secondly. God’s love is discovered in his compassionate providence over them, and assisting power afforded to them in their afflictions: he speaks to the afflicted and disconsolate, ‘my son, despise not thou the chastening of the Lord, nor faint when thou art rebuked of him:’ Heb. 12:5. to sweeten by that tender expression, the rigor of his discipline; to signify his dear sympathy with their anguish and sufferings. Heavenly consolation! God himself bears a share in their sorrows, ‘is afflicted in their afflictions:’ and the effect of this love is, that he always tempers and moderates their trials to their strength; or increases their strength in proportion to the trial. His corrections are deliberate dispensations, that proceed from judgment, not from fury, which the prophet earnestly deprecates. Jer. 8. His rods are bound up with mercy, his faithfulness joins with his affection, in moderating their sufferings. It is one clause of the covenant of grace, made with Christ, typified by David, ‘if his children break my statutes, and keep not my commandments, then will I visit their transgression with a rod,’ to amend not to destroy them; ‘but my loving kindness I will not take away from them, nor suffer my faithfulness to fail.’ Ps. 89:31,32,33. The apostle assures believers, ‘that God is faithful, who will not suffer them to be tempted above what they are able, but will with the temptation make a way to escape, that they may be able to bear it.’ I Cor. 10. 13. Our Redeemer in his agony was relieved by heavenly succor, the presence of an angel with a message of comfort. St. Paul found it verified by his own experience, ‘that as the sufferings of Christ abounded in him, so his consolations abounded by Christ,’ 2 Cor.1:5.; 2 Cor.12:9. and the divine power was accomplished, illustriously appeared in supporting his weakness. How many have enjoyed comforts of a more precious nature, and more abundant, in want of supplies from the world, than in the possession of them? When there is a total eclipse below, the blessed Comforter descends with light, and fills the soul with joy in believing. The historian tells us of a clear vein of water that springs from Mongibel, (that great furnace, that always sends forth smoke or flames,) yet is so cool, as if it distilled from a snowy mountain: thus the saints in the fiery trial have been often refreshed with divine comforts; and such humble submissions, and gracious thanksgivings have proceeded from their lips, as have been very comfortable to those about them. Thirdly. The issue out of all, is the most sensible declaration of God’s love to them. The person under affliction is limited by his tender love, till they are prepared for mercy. The prosperity of the wicked is wine in the beginning, and lees at the bottom; but the worst and afflicted state of the saints is first, and will at length certainly end in felicity. In the tragedy of Job, the devil was the author, Chaldeans and Sabeans were the actors, ‘but the end was from the Lord.’ We are instructed by the apostle, ‘that although no chastisement for the present seems to be joyous, but grievous, nevertheless afterward it yields the peaceable fruit of righteousness, unto them that are exercised thereby.’ Heb. 12:11. It is an allusion to the rewards in the Olympic games, when the persons that overcame in those exercises; were crowned with wreaths of olive leaves, the emblem of peace. Thus Christians, who with unfainting perseverance in their duty suffer affliction, shall be rewarded with holiness in conjunction with peace. This peaceable fruit of righteousness is not the natural product of affliction: grapes do not spring from thorns, nor figs from thistles; neither can it be so properly ascribed to the afflicted person, as to the powerful virtue, and special grace of the Holy Spirit, who sanctifies afflictions, and makes them profitable for effecting God’s intention by them. And when the afflicted person becomes more humble, more holy, more weaned from the world, more resigned to the will of God, this ‘fruit unto holiness’ will compensate all their pains and sorrows. And in conjunction with holiness, there is a divine peace, a joyful calm and quietness of conscience, the sense of God’s favor; his answers of peace are usually a reward, according to the operations of grace: his comforts are dispensed as encouragements to obedience. Besides, when the sinful corruptions are purged out, which caused perpetual disturbance, and our affections and actions are correspondent to the divine law, there is that clearness and serenity of mind, that rest and ease in the soul, arising from its just and due subordination unto God which the disobedient, in all their seeming prosperity, never enjoy. ‘There is no peace, saith my God, to the wicked.’ These beginnings of happiness are obtained here, but the perfection of it is in the next life. ‘Blessed is the man that endures temptation, for when he is tried he shall receive the crown of righteousness, which God hath promised to them that love him.’ James I.12. The richness and value of the ‘crown of life’ is so great, that God, the most wise and just esteemer of things, gave the precious blood of his Son to purchase it for us. It is a felicity so transcendent in its quality, and stable in its duration, that the blessed God cannot give us a greater; for what greater good is conceivable than himself? And what more stable enjoyment of it than eternity? The hope of this makes a Christian blessed in the midst of the greatest miseries. ‘Our light afflictions that are but for a moment, work for us a far more exceeding and eternal weight of glory.’ 2 Cor. 4. The infinite wisdom of God orders all things in the best manner for his own glory, and the final good of his people. All things are so wisely ordered, that God shall be ‘glorified in the event; and it is the noblest disposition of a Christian, to prefer the advancement of his glory, before all the comforts of this life, and life itself. Our blessed Savior in the forethoughts of his sufferings, was in distress and perturbation of mind, like the darkening of the sky before a great shower: ‘now is my soul troubled, what shall I say? Father, save me from this hour.’ John 12:27. But the short conflict of nature was presently at an end, he willingly ridded up himself to be a sacrifice to the divine honor, and said, ‘Father, glorify thy name.’ Moses and Paul, whose admirable zeal, had only a parallel between themselves in the same degree of holy heat, desired the salvation of the Jews before their own, if God might be more glorified by it. This is the first petition in order and dignity, in that complete form of prayer composed by our Savior, as the rule of all our desires. ‘Thy name be hallowed and glorified in us, and by us.’ The admirable history of Jephtha’s only daughter, is applicable to this purpose; she joyfully came forth to meet her father, returning victorious and triumphant after his war with the Ammonites. Judg. 11:36. He had made a rash vow, to offer up in sacrifice to God, whoever should first meet him after his victory, and upon the sight of his daughter was so deeply wounded with sorrow, that his triumph was converted into lamentations : but the grief was only in the father; for in that first surprise of such a terrible sentence to be executed upon her, she did not answer his tears with tears, nor lamentations with lamentations, but said unto him, ‘my father, if thou hast opened thy mouth unto the Lord, do to me according to that which hath proceeded out of thy mouth, forasmuch as the Lord hath taken vengeance for thee on thine enemies.’ Methinks the admirable love and generosity in a young virgin, to whom her father’s honor and exaltation was more dear than her life, upbraids us for our unwilling submission to those providential dispensations that are ungrateful to flesh and blood wherein the glory of God is advanced. If we were called to martyrdom for his truth, and our lives should bleed forth, as sacrifices on the altar, or our bodies be consumed as incense on the censer, it were an unjust and ungrateful complaint, to express passionate reluctanc against his providence. If there were no other consequences of our present sufferings, but the glorifying God, we should be content. That is the worthiest end which he proposes to himself, and will accomplish: his divine excellencies will be illustrated by the wickedness of men, that at present obscures the glory of his government; his wisdom, power, holiness, mercy and justice will be acknowledged, admired and magnified at last. His wisdom will order all things, even the most afflicting and dolorous, for the good of his people. This is a fearful paradox to a carnal mind, that judges of good and evil, as present things are pleasant or unpleasant to sense, without regard to what is future. It is like Samson’s riddle to the Philistines, ‘out of the devourer came meat, and out of the strong came sweetness.’ But to the mind that hath spiritual discerning, and judges of good and evil, as things are conducive or destructive to the happiness of the soul, it is a clear undoubted truth. ‘We know,’ saith the apostle with the greatest assurance, ‘that all things work together for good to them that love God.’ Rom. 8:28. All things, the most averse to their present desires, are so disposed and overruled by his providence, as if there were a secret intelligence and conceit between them, to promote the happiness of the saints: thus in mixed bodies the contrary qualities are reduced to such a just measure and temperament by the wisdom of the divine Maker, that a sound and healthful constitution results from them. We have a rare instance of this in the history of Joseph; his envious brethren were the instruments of his exaltation; they sold him for a slave into Egypt to frustrate his prophetic dreams; and there, by many admirable turns of providence, he was advanced to the highest dignity; and then was verified in him and his brethren, ‘that his sheaf arose and stood upright, and their sheaves stood round, and did obeisance to his sheaf.’ God had reserved purposes of greater good for Joseph, than if he had continued under his father’s tender eye and care; therefore, it is said in his history, that they perfidiously ‘sold him, but God sent him.’ He that attentively reads the journeys of the Israelites through the wilderness to Canaan, cannot but wonder at the circuits and indirect motions in their tedious travel for forty years; and when near the borders of the place, so long and ardently desired, they were often commanded to retreat in the same line wherein they had advanced to it: had they chose the shortest way, and disobeyed the divine conductor, they had never entered into the land of promise: but following the pillar that directed their march, though they seemed lost in their intricate wanderings, yet they obtained the joyful possession of it. This was a type of the saints’ passage through a troublesome world, to the true rest above, and that they are guided through many cross ways directly to the kingdom of heaven. ‘Who knows,’ saith Solomon, ‘what is good for a man in this life, all the days of his vain life, which he spends as a shadow? Eccles. 6:12. That which is desired with importunity, as tending to his happiness, often proves his woe: some had not been so wicked, and consequently so miserable, if their lusts had not been excited by riches and power: others had not been secured from destructive temptations, but in a low and afflicted state. It is therefore both our duty and interest not to pray absolutely for any temporal thing; but when our desires are most passionate, to say with the humility and holiness, the reverence and obedience of our Savior, ‘not my will, but thine be done.’ We shall find ourselves more happy by the divine disposal of things, than if we had obtained our dearest wishes, and most ardent prayers. And when we shall come to the top of the holy hill, and look down on the various circuits of providence by which we ascended, we shall then understand that wisdom and love conducted us safely to felicity; we shall approve and admire all the divine methods in order to our blessed end. Now the belief of this should compose us to a patient and cheerful resignation of ourselves to God’s providence and pleasure. Who would not accept of the counsel of a friend that proceeds from love, though his judgment were not so exact as to be relied on? Much more should we thankfully receive the appointments of God, whose knowledge and affection are equally superlative, in whom there is united the wisdom of a father’s, and the tenderness of a mother’s love to his children. Briefly, as Jonathan by tasting the honey at the end of his rod, had his eyes enlightened; so the end of the severest chastisements will convince them, that the providence of God was more benign and propitious than they could imagine. ‘His ways are as far above our ways, and his thoughts above our thoughts; as the heavens are above the earth.’ This point is applicable to us. By way of reproof for our unsubmissive behavior in afflictions, our incompliance with the divine disposals. Some are in a secret discontent at God’s afflicting providence; and this raises the memory of former mercies, and takes away the relish of present mercies; as the sweet showers of heaven that fall into the sea are turned into its brackish taste: such neither enjoy God nor themselves. What egregious folly and vile ingratitude is this! All we have, is from his most free favor; and shall we peevishly slight his benefits, because our desires are not gratified in every respect? Others are moved with anger and vexation for the evils that befall them: as the red hot iron under the blows of the hammer casts abroad fiery sparks; so their stubborn fierce spirits, when afflicted, break forth in expressions of impatience and displeasure. They count it a base abjectness of mind, a despicable pusillanimity, to humble themselves under God’s judgments, and with contrition for their sins to implore his clemency. ‘The voice of the Lord makes the dear to calve, the timorous and weak creatures: but when the heavens roar, the lions thunder back again.’ Thus strong and stubborn sinners, when they feel the effects of God’s anger, are raging and furious in their passions and expressions. ‘The foolish man perverts his way, his most grievous sufferings are the fruits of his sins, and his heart frets against the Lord as the inflictor of them.’ Prov. 19:3. This is a high indignity to God, and an injury to themselves. For a vile creature, a base guilty wretch to murmur and storm against God’s righteous judgments, argues a prodigious forgetfulness, both of its dependence and obnoxiousness to the divine tribunal. It is said of the adherents of antichrist, ‘That they were scorched with great heat, and blasphemed the name of God, which hath power over the plagues, and they repented not to give him glory.’ Rev. 16. 9. Infinite insolence! Such obstinate souls the prince of darkness possesses as his peculiar dominion; they have more need of conversion than consolation. Besides, by impatience and vexatious fretting, they exasperate their pains, turn the rod into a serpent, vipers into dragons; and God’s mighty hand is more heavy by their resistance. Bold postulations irritate his anger, rather than incline his mercy; the willful man never wants woe. ‘With the froward,’ saith the psalmist, ‘thou wilt show thyself froward,’ Ps. 80. or, as it is rendered in the margin ‘wrestle.’ The strongest sinner is not a match for the Almighty; if his anger excites his power, how easily, ‘how sudden are they destroyed without remedy?’ Stubborn impatience under the inflictions of God’s righteous providence, is the nearest step to final ruin. Others are so dejected and broken with afflictions, that their continuance in the world is but a living death: everything entertains their grief, and the best means afforded for their reviving and comfort are ineffectual. Sorrow flows into despair, they lament and languish as if their case were hopeless and remediless. The fountain of this black stream, is a superlative esteem and affection to inferior things: and what is reserved for the blessed Creator? If a temporal loss be the most afflicting evil, it is a sign that God was not valued and loved as the chiefest good. The difficulty of receiving consolation, shows the necessity of their being afflicted: the language of such resolved sorrow is, ‘They have taken away my gods; and what have I more?’ The sole objects of their felicity are removed, and they refuse to be comforted; as if no less sacrifice were due to the remembrance of their loss, but life itself. What a disparagement is this of the divine excellencies? ‘Are the consolations of God small to us?’ Is not his love able to compensate the loss of a frail, mutable, mortal creature? Cannot he please and satisfy us without the fruition of one earthly comfort? This dejection of spirit is equally undutiful as uncomfortable; our griefs are sometimes as vain and as guilty as our joys; there is a tincture of disobedience in our tears; for we are commanded ‘to mourn as if we mourned not, for the fashion of the world passes away;’ and we at once break his law and our own peace. Our disobedience in this is aggravated, as being contrary not only to the authority and sanctity of the Lawgiver, but to his loving-kindness and compassion. Ah, the miserable blindness of human minds! and the more miserable, because voluntary. Who is more deservedly unhappy than one that sits upon the bank of a river, and yet is tormented and dies with thirst? The clear, fresh stream passes before him, allures and invites him, but he will not stoop to drink; this is the case of those who neglect and refuse the spiritual consolations in the gospel, John 3:38, 39. that are compared to the flowing rivers of living water, for their cooling, refreshing quality. They meritoriously and actively bring trouble to their souls; their passions are the instruments of their misery. He that is his own executioner, has no excuse of dying; he is justly, because willfully miserable. Consider also what a reproach is cast upon Christianity, that so many virtuous heathens in great afflictions, were in some measure supported by the precepts of human wisdom; and that Christians, to whom there is revealed from heaven, that an eternal state of glory and joy shall be the reward of their patient sufferings, remain utterly disconsolate. I will single out one example. Stilpon the philosopher, when his city was destroyed, with his wife and children, and he escaped alone from the fire, being asked whether he had lost anything? Replied, ‘All my treasures are with me,’ justice, virtue, temperance, prudence, and this inviolable principle, not to esteem anything as my proper good, that can be ravished from me: his mind was erect and steadfast under the ruins of his country. And others upon lower and less generous considerations, have born up in their sufferings. How do such examples upbraid us, that their twilight excels our noonday brightness? If common cordials raised such courageous spirits in them, shall not the waters of life, the divine strong comforts of the gospel, fortify us to bear all sufferings with a valiant resignation to the good will of God? Can the spirit of a man, by rational principles sustain his infirmities, and cannot the spirit of God, the great comforter, support us under all troubles? What a blot is this to religion? Those who will not be comforted, will not be Christians; by the same Holy Spirit who is styled the comforter, we are the one and the other. If the precious promises of the gospel do not alleviate our sorrows, it is not from infirmity, but from infidelity. It is an incredible miracle, that a person can be in reality a Christian, and not capable of consolation; as if eternal life were not purchased by Christ for his people, or the present sufferings were comparable to the future glory; or the possession of it were to be obtained after a thousand years of hard trial: but if it were delayed so long, that sensible duration should sink our spirits; for the misery that passes with time, is not of moment with respect to the blessedness that is established forever. Let us be excited to transcribe this divine lesson (so full of excellency and difficulty) in our hearts and lives. It is easy in speculation to consent to the reasonableness of this duty, but how hard to practice it, and to bear not too sensibly such evils as are incurable here? A deliberate, universal, constant subjection to God’s will, though contrary to our carnal desires and interests, how rarely is it to be found among those who in title and profession are his servants? In active obedience, some will readily perform some particular commands, but withdraw subjection from the rest; they seem to make conscience of the duties of piety, but neglect righteousness; or else are just in their dealings, and careless of devotion. Some are liberal, but irreconcilable. They will give for their honor, but forgive no contempt or injury; and as the dividing living twins destroys them, so the life and sincerity of obedience, that consists in the union and entireness of its parts, is destroyed by dividing our respects to some commands, neglecting the rest. And in ‘passive obedience,’ many will submit to lighter and shorter afflictions, but if an. evil comes that nearly touches the heart, or that remains long without redress, they become impatient, or so dejected as to neglect their duty. Covenants made in blood, and again as celebrated by sharing a common meal, and by the exchange of weapons and clothing, and in various other ways, are of frequent mention; but a covenant of salt is spoken of only three times, and in every one of these cases as if it were of peculiar and sacred significance; each case is unique. While the word “covenant” appears more than two hundred and fifty times in the Old Testament, it is a remarkable fact that the term “covenant of salt” occurs in only these three instances, and then in such obviously exceptional connections. The Lord’s covenant with Aaron and his seed in the priesthood, and with David and his seed in the kingship, is as a covenant of salt, perpetual and unalterable. And God’s people in all their holy offerings are to bear in mind that the salt is a vital element and factor, if they would come within the terms of the perpetual and unalterable covenant. In the Bible, God speaks to men by means of human language; and in the figures of speech which he employs he makes use of terms which had and have a well-known significance among men. His employment of the term “covenant of salt” as implying permanency and unchangeableness to a degree unknown to men, except in a covenant of blood as a covenant of very life, is of unmistakable significance. There are indeed incidental references, in another place in the Old Testament, to the prevailing primitive idea that salt-sharing is covenant-making. These references should not be overlooked. And again, in further detail: “Unto a hundred talents of silver, and to a hundred measures of wheat, and to a hundred baths of wine, and to a hundred baths of oil, and salt without prescribing how much;”6 the more salt they took, the more surely and firmly they were bound. NOTE TWO, BLOOD AND SALT: There are indications in the customs of primitive peoples that “blood” and “salt” are recognized as in some sense interchangeable in their natures, qualities, and uses. And in this, as in many another matter, the trend of modern science seems to be in the line of primitive indications. A tradition of the Turkish or Tatar nations says that Noah’s son Japheth was their immediate ancestor, and that Toutug, or Toumuk, a grandson of Japheth, discovered salt as an article of diet by accidentally dropping a morsel of food on to salt earth, and thus becoming acquainted with the savor of salt,9 this carries back the traditional discovery of salt to the age when blood was first forbidden as food. The correspondence of salt and blood in more primitive thought will perhaps throw light on a disputed reference on a fragment of Ennius to “salsas sanguis” (salted blood, or briny blood). It would seem that as the Jews held that the blood is the life, and the life is in the blood, similarly Greeks and Romans recognized the truth that salt is in the blood, and the blood is salt. As blood is synonymous with life in primitive thought and practice, and as salt has been shown to represent blood in the primitive mind, so salt seems to stand for life in many a form of primitive speech and in the world’s symbolism. When, indeed, we speak of salt as preserving flesh from corruption, we refer to the staying of the process of death by an added element of life; preserving by re-vivifying, rather than by embalming. When, therefore, salt, as the synonym of life or of blood, is found in a spring of living water, it is natural to recognize the spot as peculiarly favored of God. There is said to be a salt lake in the mountain region of Kurdistan, which was changed from fresh water to salt, by the Apostle Peter, when he first came thither preaching Christianity. He wrought this change so that he could influence the people to accept his teaching through sharing his life by partaking of the salt. To this day the tradition remains, that, if the natives will bathe in that lake, they will renew their faith. Aside from the question of any basis of truth in the legend, it remains as a survival of the primitive idea of a real connection of shared salt with shared life. A traveler in Asia Minor speaks of the practice among the Turkmans of the mother’s dipping a child two or three times into a skin of salt water, at the time of his naming. This would seem to be a primitive rite, and not a Christian one. The father of the child meanwhile eats honeyed cake, and drinks thickened milk, as milk is sometimes accepted by the Arabs as a substitute for salt, as the essential factor in the covenant of salt (the milha). The references of Jesus to salt would seem to have fuller meaning, if “salt” be understood as equivalent to “life.” Where he says to his disciples: ” Ye are the salt of the earth: but if the salt has lost its savor, wherewith shall it be salted? it is thenceforth good for nothing, but to be cast out and trodden under foot of men,”16 he would seem to remind them that they are the life of the world, if, indeed, they retain life in themselves. And where he says, “Have salt in yourselves, and be at peace one with another,”17 he would call them to have life in themselves, and to join with others who have it, in making their life to be felt among their fellows. It is obvious that whatever else “salted” here means, it does not mean “salted.” To salt is to mingle, or to accompany, with salt. Clearly, fire does not do that. The Greek is as vague, or as ambiguous, as the English. There must be a conventional or popular, a figurative or symbolical, meaning in which “salt” is here used. What can this be? “Fire” is here spoken of as the synonym, or equivalent, or parallel, of “salt.” In this figure, fire is to accomplish what salt performs; the work of salt is to be done by fire. In what sense can this be true? The whole context of the passage in Mark’s Gospel indicates that Jesus is speaking of life. He is showing the way to attain to life. He points to the final testing of life by fire. As salt is shown to correspond with life, and as this seems to have been understood by his hearers, would they not have seen that Jesus was pointing out that the measure of life, or salt, the reminder of God’s covenant with his people, in every one of them, would be revealed in the testing of fire? God wants “not yours, but you.”25 This was emphasized by priest and prophet in the history of the Jewish people, earlier and later. Paul re-echoed this primal thought when he appealed to Christians: “I beseech you therefore, brethren, by the mercies of God, to present your bodies [yourselves] a living sacrifice, holy, acceptable to God, which is your reasonable service.”26 Without salt, without the symbol of life, no sacrifice was to be counted a fitting or acceptable offering at God’s altar. In Oriental and primitive thought Salt and Sun are closely connected, even if they are not considered as identical. They stand together as Life and Light. Their mention side by side in various places tends to confirm this view of their remarkable correspondence. The similarity of their forms accords with the Oriental delight in a play upon words, even apart from the question of any similarity in their meanings. The recognized meaning of these words in the days of Jesus intensified their importance at every use of them, as when it was said that “in Him was life; and the life was the light of men.” Salt was blood; blood was life; salt was life; life was light; blood and salt and light were life. Among folk-lore customs on both sides of the ocean, salt and a candle are carried across the threshold on moving in to a new house, as if representing life and light as needs in a new home. Sometimes the Bible also is included, as if in recognition of the true basis of all sacred covenanting. An alternative reading of the words of Jesus in Mark’s Gospel refers to this custom when it says that “every sacrifice shall be salted with salt.” Josephus, in his “Antiquities of the Jews,” makes reference to the large quantities of salt required for sacrifices.29 This corresponds with the provision of the King of Persia for Jewish sacrifices, “salt without prescribing how much,”30 “a limitless or indefinite amount. In the directions for the preparation of the holy incense for use by the priests in the services of the tabernacle, the fragrant gums and spices were to be “seasoned [or tempered together] with salt, pure and holy.”33 And this incense was for sacrificial offering. It is still a custom among strict Jews to observe the rite of the covenant of salt at their family table, before every meal. The head of the house, having invoked the Divine blessing in these words, “Blessed be thou O Lord our God, King of the universe, who causest bread to grow out of the earth,” takes bread and breaks it in as many pieces as there are persons present. Having dipped each piece into salt, he hands a portion in turn to everyone, and they share it together. In cases where there is less strictness of ritual observance on the part of modern Jews, this ceremony is limited to the beginning of the Sabbath, at the Friday evening meal. This view of the household table as an altar has been recognized by many Jews. Picart38 says: “The German Jew sets bread and salt upon his table, but the loaf, if possible, must be whole. He cuts it without making a separation, takes it up with both his hands, sets it down upon the table, and blesses it. His guests answer, Amen. Afterwards he rubs it with salt, and whilst he is eating it, he is as silent as a Carthusian. The bread thus consecrated is distributed to all who are at table. If he drinks wine, he blesses it as he did the bread before; takes it in his right hand, lifts it up, and pronounces the benediction over it; and all other drink, water alone excepted, is consecrated in the same manner. The master of the family concludes with Psalm 23, and then everyone eats what he thinks convenient, without further ceremony. The ceremony of cutting the loaf without separation has the same reason to support it; and a passage from Psalm 10:3 is a voucher for its solidity. The master of the house holds the bread in both his hands, in commemoration of the ten precepts relating to corn; and each ringer is the representative of one of them.39 “The salt as the religious intention of it is typical of the ancient sacrifices. Meat without salt has no savor, which is proved from a passage in Job, chapter 6, verse 6.2 This is civil policy confirmed by religion. That the table was looked at as an altar among ancient peoples, is to be inferred from various proverbs and practices with reference to it. A comment on this is, that as the table was consecrated to God, whatever fell from it was not to be restored, but to be left, as was the gleaning of God’s fields, for the poor.43 When the Syrophoenician woman said to Jesus, “Yea, Lord: for even the dogs eat of the crumbs which fall from their masters’ table,”44 She spoke in recognition of this primitive truth, that the crumbs from the table might be shared by whoever hungered. Wellhausen, in treating of the remains of Arabian paganism,47 tells of the custom of the old priests of throwing salt into the fire of sacrifice, unperceived by the worshiper as he appealed to the gods in his oath, and of the consequent startling of the offerer by the up-leaping flames, as though under a divine impulse. Various popular sayings are cited as incidental proofs of this custom; the purport of them all being that salt in the fires of sacrifice is supposed to be an effective appeal to the gods. Pliny says that “salt, regarded by itself, is naturally igneous, and yet it manifests an antipathy to fire, and flies from it.48 This would seem to be a reference to the tendency of salt to spring up, or flash and sparkle, when thrown into the flames. It has indeed been suggested that the very name “salt” was derived (through saltus, “to leap”) from the tendency of this substance “to leap and explode when thrown upon fire.”49 If there be any probability in this suggestion, or in another, and more natural one, that saltus was from the same root as sal, “salt,” it is easy to see that the primitive mind might infer that such was the affinity of salt with the divine, that, when offered by fire, it leaped toward heaven, and so was understood to be peculiarly acceptable to God or to the gods, in sacrifice. The Latin verb salts has the twofold meaning “to salt” or “to sprinkle before sacrifice,” and “to leap, spring, bound, jump;” and the root sal would seem to be in the Latin and the Sanskrit alike.50 Similarly, the word “salacious,” or lustful, had this origin. The fact that in its primitive conception a covenant of salt is a permanent and unalterable covenant, naturally suggests to the primitive mind the idea of treachery as faithlessness to salt. The Persian term for a “traitor” is namak haram, “untrue to salt,” “one faithless to salt;”51 and the same idea runs through the languages of the Oriental world. Of course, there is no human bond which will guard human nature against all possible treachery. These references to the measure of fidelity among different peoples or tribes are an indication of the relative degree of faithfulness prevailing among them severally. Those who are faithless to salt cannot be depended on for anything. If a man would not be true to one who is of his own blood, of his own life, and to whom he is bound in a sacred covenant of which his God is a party, he could not be depended on in any emergency. The covenant of salt is all this in the thought of the primitive mind. turned the salt-cellar.53 And even among English speaking peoples the spilling of salt between two persons is said to threaten a quarrel; as though they had already broken friendship. In both the Old Testament and the New faithlessness to a formal covenant is reckoned a crime of peculiar enormity as distinct from any ordinary transgression of a specific law. Transgressing a covenant with the Lord is counted on the part of Israel much the same as worshiping the gods of the heathen. This is shown in repeated instances in the Old Testament.54 In the New Testament, Paul includes among the grossest evil-doers of paganism those who are “filled with all unrighteousness, wickedness, covetousness, maliciousness; full of envy, murder, strife, deceit, malignity; whisperers, backbiters, hateful to God,” and so down to “covenant-breakers,” and those “without natural affection,” as among the lowest and worst of all.55 This idea shows itself continually in records and traditions, sacred and secular. And so we find that, in the primitive world’s thought, shared salt has preciousness and power because of what it represents and of what it symbolizes, as well as of what it is. Salt stands for and corresponds with, and it symbolizes, blood and life. As such it represents the supreme gift from the Supreme Giver. Because of the tremendous significance of salt, when it is made use of as the means of a lasting union, the Covenant of Salt, –as a form or phase of the Blood Covenant, is a covenant fixed, permanent, and unchangeable, enduring forever. 10 See Clementine, Homilies, IV. 6; XIII. 8; XIV. 1, 8; XIX. 25, cited in art. “Elkesai” in Smith and Wace’s Diet, of Christian Biog. 18 Mark 9: 49. Comp. A.V. and R.V. 19 See notes and references in Nicoll’s Expositors’ Greek Testament; Lange’s Commentary; Meyer’s Commentary, in loco, etc. 23 1 Cor. 3: 13-15. 24 See, “The Blood Covenant” passim. 25 2 Cor. 12: 14. 40 Dr. Kohler states that the reason for not throwing these fragments on the ground, is because the Jews would not disgrace what is regarded as a special gift of God. 52 Rev. Dr. Marcus Jastrow refers to this in an article on ” The Symbolical Meaning of Salt,” in The Sunday School Times for April 28, 1894. 54 Gen. 17: 14; Deut. 17: 2-7; Josh. 7: 11-15; Judg. 2: 20-23; 2 Kings 18: 11, 12; Psa. 55: 19-21; Isa. 24: 5, 6; Jer. 11: 9-11; 34: 17-20; Hosea 6: 4-7; 8: 1. …wrongly press that unity in a way that distorts and suppresses the diversity of the several administrations of that covenant in history. To put it another way, paedobaptists rightly emphasize the inner continuity of the various administrations of the covenant of grace, while wrongly neglecting the various external discontinuities which exist between those administrations. To put it in still a third way, paedobaptists rightly stress the unity of redemptive history, while wrongly ignoring the movement of that redemptive history. Thus their error is fundamentally one of biblical theology, of understanding the progressive unfolding of God’s redemptive purposes in history. 11 For further references and supporting information, see the FAQ on the Reformed Baptist View of Baptism. …seems to be Quadragesimal, –the Latin equivalent for the Greek term, or the Quadragesimal Fast, referring to its length. But whether the Quadragesimal Fast was for forty days or only forty hours is a point on which differences of opinion have existed. Another name given to this season is the Ante-Paschal fast, referring to the fact that from the very first age it was customary to fast before Easter –the paschal feast or pass over. Now to enter into a more detailed examination we have these three names: Quadragesimal, referring to the length of the fast whether according to hours or days; Ante-Paschal fast, referring to the position of the fast in the Christian year; and Lent, referring to its position in the natural year. I am particular to observe this connection of Irenaeus with Polycarp because it gives us a hint how early must have been the origin of a Lenten fast. Irenaeus was a disciple of Polycarp, and Polycarp was a disciple of St. John. By spiritual descent we might say Irenaeus was a spiritual grandson of the beloved disciple St. John. In this letter to Victor we further notice, the writer says of the observance of Lent, it “has not originated in our time; but long before in that of our ancestors.” Now as Polycarp was the teacher of Irenaeus, we may safely say that a Lenten fast must have been observed as early as the time of this teacher, and this teacher lived in the later years of St. John the apostle. Again, if ”ancestors ” refers back to more than one generation, we have then the Lenten fast referred back to St. John, the teacher of Irenaeus. It seems reasonable and worthy of credit therefore, that some Lenten or Ante-Paschal fast was an established custom at least as early as the beginning of the second century, and perhaps earlier, at the close of the first century in the last years of the beloved disciple himself. The place of institution of this fast, connecting it as we do with St. John, was, we may believe, in the East, in Ephesus and the cities adjacent. Again, we have evidence of the early origin of the Lenten fast in the writings of Tertullian, who lived in the second and third centuries, and who after his perversion to Montanism, in controversy with the primitive Church about fasts, chides it for keeping only the two days before Easter. We hear again of the observance of Lent by the allusion of the First General Council held in 325 A. D., and the reference to Lent by this Council tends to confirm us in the belief that this season had already been long established. In the fifth canon of this Council concerning excommunication, in order that this discipline may not be arbitrarily exercised, it is advised that two synods be held in a year when questions of discipline might be reviewed. In determining the time when these synods shall be held the canon says, ”Let one synod be held before Lent,” or, according to the Latinized form of the original Greek, before the Quadragesimal Fast. After this First Council had concluded its deliberations the Emperor Constantine wrote an encyclical letter to the bishops of the Church urging uniformity in the observance of Easter, and from this letter we indirectly learn of the universal practice of an Ante-Paschal fast. Thus the Emperor writes, “Let your pious sagacity, (the bishop) reflect how evil and improper it is, that days devoted by some to fasting should be spent by others in convivial feasting; and that after the paschal feast, some are rejoicing in festivals and relaxations, while others give themselves up to the appointed fasts.” By the year 325 A. D. we may say the observance of the Lenten fast was universal in the Church. Its earliest origin, as we have seen, may reach as far back as to the later years of the apostle St. John; but if this early date be questioned, then certainly to the generation of Christians immediately succeeding the apostle one of whose disciples was Polycarp. We may safely say that a Lenten or Ante-Paschal fast of some kind has been observed continuously in the Christian Church from the beginning of the second century down to our time. We have already seen from the letter of Irenaeus that there was a difference of usage as to the time of keeping, and also as to the length of the fast. Let us now observe what was presumably the original duration of the fast, and how it has been developed to its present length. Tertullian also refers to the Lenten fast as coinciding with the two days, the time our Lord lay in the sepulcher, and his allusion to this period leads us to think that in his day the Ante-Paschal fast was not of more than forty hours in length. We may well believe that the Church, even from apostolic times, observed this season, basing the fast, as Tertullian and others tell us, on the words of our Lord, “The days will come that the Bridegroom shall be taken from them and then shall they fast.” Our examination seems so far to establish the view that at the first the Lenten fast extended only over about forty hours. Cassian, another historian, tells us, “Though some churches kept their Lent six weeks, and some seven, yet none of them made their fast above thirty-six days in the whole.” Yet, not-withstanding the fact that the various churches had different periods for their fast, they all called it the Quadragesimal Fast. So the name Quadragesimal is by no means proof positive of the belief of some, that the fast was always one of forty days. In fact, as we have just seen, Cassian says none “made their fast above thirty-six days in the whole,” and the reason given for this period of observance was that it was one tenth of the year, a tithe of time which should be devoted to God. As Christians tithed their alms so should they tithe their year. Thus those who kept six weeks reckoned only thirty-six days for their fast, for from the forty-two days of six weeks was deducted the six Sundays, thus leaving but thirty-six days. Again, those churches which kept seven weeks kept only thirty-six fasting days: for though seven weeks give us forty-nine days, yet all the Saturdays “the Saturday before Easter being excepted” as well as Sundays were taken out; thus thirteen days were deducted from the forty-nine days, which still made the fast one of thirty-six days. It was the Eastern Church rather than the Western which kept a greater number of weeks, because in the Eastern Church Saturday “the great Sabbath excepted” ” has never been a fast day, not even in the Lenten season. This accounts for the Lenten fast beginning earlier in the Eastern than in the Western Church, and so lasting through a greater number of weeks, though the actual number of fasting days was the same. But to return to the extension of this season the next advance is to the exact period of forty days which now prevails throughout western Christendom. Who added Ash-Wednesday and the three days following it to the be-ginning of Lent in the Western Church so as to make the season exactly forty days is not unanimously agreed upon by historians. Some say it was the work of Gregory the Great, but others ascribe it to Gregory II., who lived over a hundred years later. ” But whichever of these Bishops added the four extra days, they are an addition made to the season sometime after it had been an established usage of the Church to observe a Lenten fast, as Cassian has told us, of only thirty-six days. If the four extra days were added by Gregory L, the Lent fast of forty days would not be earlier than the close of the sixth or beginning of the seventh century. If the change was made by Gregory II., then the practice of a Lent fast of forty days does not antedate 715 A. D.
But we may see a reason for the change from thirty-six days ” the tithe of the year ” to forty days. Forty days is a period that occurs frequently in the Bible as a time of fasting and prayer. Briefly to instance a few more Old Testament examples of this number forty: “This was the number of days God covered the earth with the deluge; this the number of years in which the children of Israel did penance in the wilderness; and the Ninevites had this number of days allowed for their repentance.” But chiefly is the parallel found in the life of our Lord, who, led up of the spirit into the wilderness to be tempted of the devil, ” fasted forty days and forty nights.” The change then which was made from thirty-six to forty days we may believe was based on the scriptural analogies which have been quoted, and which at the same time made the number of days agree with the name of the season itself “Quadragesimal” a name which notwithstanding the variation in the length of the season in different sections of the primitive Church, was indifferently applied. It may not be amiss to briefly state how the forty days’ fast is computed. Ash-Wednesday to Easter “a period of six weeks and four days” gives us forty-six days, from which number of days are subtracted the six Sundays in Lent, thus giving us the Lenten fast of forty days. Here too a word may be permitted as to the origin of the word Ash-Wednesday. We have learned that originally there was no Ash-Wednesday connected with the Lenten fast. This day was not added, at the earliest, until the time of Gregory I., and it derives its name from the custom which was instituted at the time the day was added of sprinkling ashes upon the heads of penitents to remind them of their mortality. Further, as to this practice we are led to believe that ashes were not sprinkled upon all the worshippers, but only on the heads of those who were penitents, and were under sentence of ecclesiastical discipline.